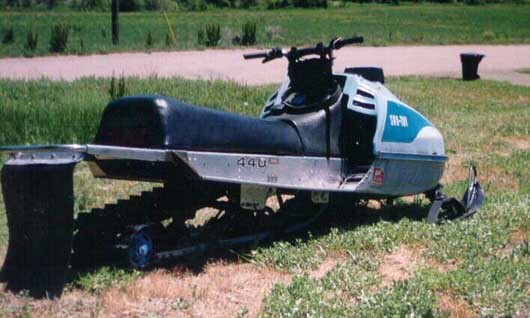 1975 Sno*Jet SST 440, slightly modified. 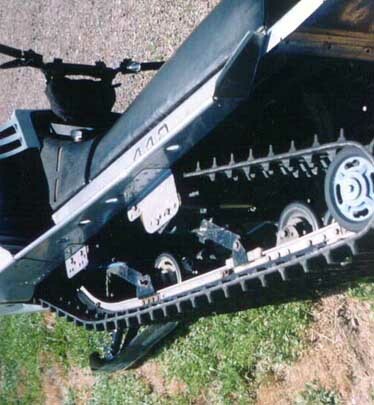 A few inches were added to the hood to fit the 500 Rotax inside. 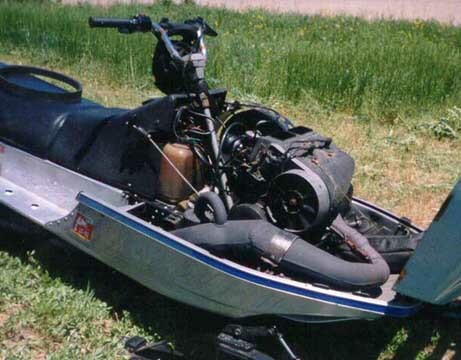 A custom motor mount was made, an oversized Mikuni is used to feed this beast, and has a modified Yamaha Phazer pipe. 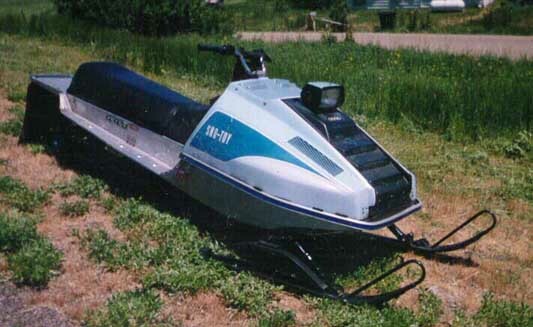 The sled features a 133" Polaris Track with 3/4 inch lugs and custom brackets are used for more clearance under the tunnel.